This historic property has been owned since July 2004 by the McNabb family. 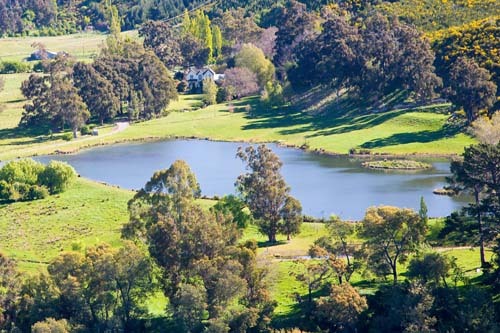 They purchased a property of 145ha (including the homestead) from the David and Jill Moorhouse in July 2004. In October 2006, an additional 90 ha of adjacent land was purchased from Fairfield Downs bringing the total property size to 235ha. This additional land was previously part of Altimarloch when it was divided up with the sale of the property by John Pittar. 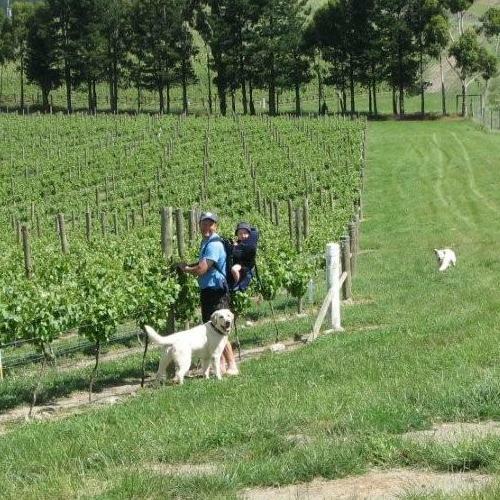 The predominant use of the property is viticulture with 125ha of grapes planted from 2004-2008. The main variety is Sauvignon Blanc with a small block of Pinot Gris. The balance of the productive land is used for grazing and forestry (10 ha of Pinus Radiata, 8 ha of Douglas Fir a small Totara grove. The original area of Altimarloch is thought to have been just about 445ha freehold but in1905 the freehold area was approximately 1093 ha and due to alterations in boundaries with Aotea and Blairich by 1966 the total area was about 1712ha. In 1981 about the time the Pittars purchased the holding, adjustments to land tenure saw all land above 760 metres retired and reverted to Crown ownership - now administered by the Department of Conservation. Of the area which the Maddevers owned - 1266ha freehold and 445ha leasehold - a total of 1712ha, approx 500ha was retired. Altimarloch is steeped in history and the old family cemetery to be seen there is still visited by descendents of the first settlers. The first owner was Alexander Mowat of Caithness, Scotland who named the run after a spot in Caithness where a battle had been fought - Gaelic for the burn in the gravestones. Other meanings are sometimes given. The Mowats came to the Awatere from Nelson about 1848 - for many years Mrs Mowat was the only woman for miles around . Mr K P Mowat took over from his father in 1884. Mr A J Farmar was the owner from 1906 and then the run was sold to Mr A C McRae of Aotea (whose wife was a Mowat). In 1935 the property passed to the Barnes (J W & W M & then just J W). In 1945 it was sold to Mr Thomas K C Maddever who also spent many years on the, then, Awatere County Council. The property was bought by his sons before being sold in 1981. The original home was cob one - so badly damaged in the 1855 earthquake that the family lived in tents for a few weeks. The present large, two storey homestead was commenced in 1862 but parts are thought to date back as early as 1857. It was built by John Scott of Nelson and when finished was the largest house in Marlborough. The timber came from Tasman National Park - it was landed at the Vernon Bluffs and carted up the valley by bullock dray (total cost three thousand pounds). The present woolshed was built in 1922. The cottage was built in 1953.